I've pretty much come to the end of my favourite names and my character names in my series about names. So, I've been wanting to jump into the many, many characters from one of my favourite TV shows of all time, The Waltons. But first (as is my wont), a little discussion. coming soon to a blog near you. Source. 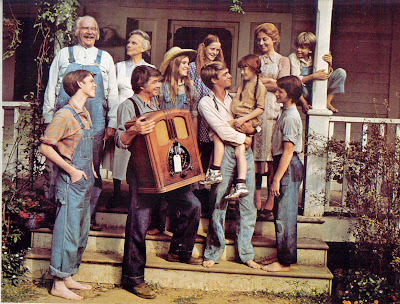 The Waltons was still in its original run when I was tiny, but I was much too young to remember it. And unlike its two-generations-earlier counterpart, Little House on the Prairie, it was never picked up for reruns by our local PBS. As a result, I've not seen that many episodes of this show that I love so much. But, it is one of those shows that's easy to slip in and out of, so apart from wondering about the timing of the episode I'm watching, I just go with it when I'm able to see the odd episode. This is obviously John-Boy's story. Earl Hamner Jr. wrote it that way, since it was really his own life story. Sometimes, though, the "our world revolves around John-Boy" bit is too much for me, so I'm kind of glad that he was written out of the show for a while (even though it was for WWII), because some of the other characters got their chance to grow and become important. The seasons with a mostly-women cast are really quite powerful, showing how life on Walton's Mountain carried on without men, as indeed it had to do around the world during WWII. Jason is my favourite Walton, maybe because he was a little bit different from the others. The family didn't fuss over him like John-Boy but he didn't make scenes, like Ben or Jim-Bob. He just got on with being the sweet older brother of the family, quietly making his mark. According to IMDB, Jason's being a musician was written into the show specifically for Jon Walmsley, the actor, because he was a musician himself (and still is). The character who grew the most (IMO) during the series was the one with the most room to grow-- Elizabeth. Thank goodness this was before the era of artificially advancing children's ages on TV shows, so that Elizabeth really did get to grow up with the show. Sometimes it was forced (there's one Christmas episode when her young cousin asks her to play outside and she answers, "Maybe a few years ago, but I can't now, being a young lady." Even for the 1940s, that's a bit too much self-awareness spoken aloud), but mostly it could just be seen, little by little, as the barefooted cutie tomboy transformed into a proper southern 1940s young woman. Ultimately, it's a show about a family that comes through one storm after another still standing, which for me makes it worth watching. 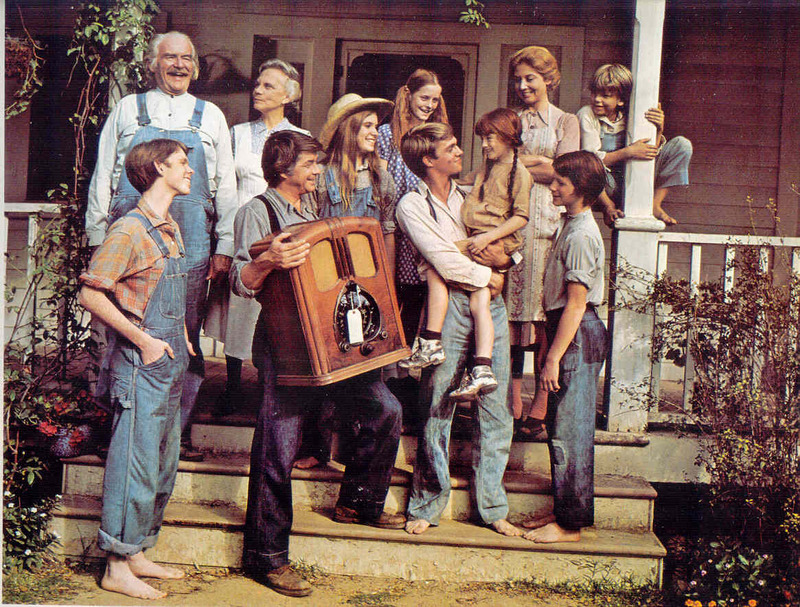 Did you watch The Waltons? Do you still watch it? Do you have a favourite character? Somehow, I never read a Jane Austen in high school. The way people talked about them always gave me the impression they were dry and boring, and truthfully I was too busy rereading the Little House series for the 2865th time to notice that there were other books I could be reading. Rereading is a joy, but it has really cramped my style without me even knowing it. Anyway! So I've finally become acquainted with Ms. Austen, first with Pride and Prejudice (naturally!) and now it's Sense and Sensibility. And, I love it. 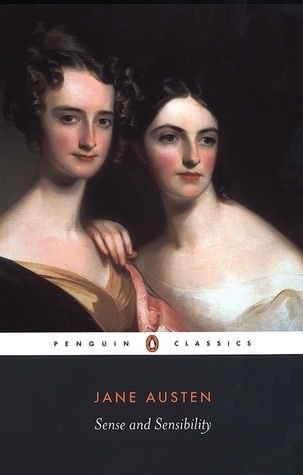 Early though this book may have been for Ms. Austen, she obviously used her gifts well--the writing is lovely and the characters are so vivid that I was burning along wanting Elinor to forget social convention and tell them all where they could get off. Seriously, didn't rich people in the 1800s have anything better to do than sit around and gossip? And be snidely horrible to each other? I mean, obviously we still do that now, but at least it's interrupted from time to time with things like work. I loved it and am looking forward to reading all the rest of the things that Jane Austen wrote. I'm not really moving today. Moving day is coming (in four weeks, yikes! ), but we're not there yet. However, we are going to be leaving this apartment where we've lived for our first three years in Austin and moving across town to one a little bit closer to the action. We're pretty excited. My friend Jenni over at Talking Hairdryer, though, has just packed up her entire grown-up house, including a husband and three children, and is moving a couple of states. Seeing her document the saga on Facebook has made me grateful that 1) We're only moving across town, and 2) We haven't tried very hard to have a grown-up house. Three adults do not need nearly as much stuff as two adults and three children, thank goodness, and we frequently mutter that even what we have is too much stuff. In other words: Jenni rocks, me not so much. Godspeed on your new adventure, Jenni. 1. Give stuff away. I've used Facebook, Freecycle, and the local thrift stores to unload all my excess stuff onto unsuspecting victims. I started to use Craigslist this time around, too, but within five seconds of me posting "I'm selling a juicer and breadmaker" on Facebook, I had a taker; no Craigslist required. As we get deeper into our stuff, though, I may still find a need. Why this is green: Keeps things out of the landfill, gives your stuff a new lease on life, and keeps the recipient from having to get a new thing. 2. Use old newspaper to wrap stuff up. On our last move, we asked our friends if they had any stacks of newspaper sitting around the house waiting for a trip to the recycler, and if they did, we wanted to take it off their hands. I also collected used papers from my office. We ended up not having to get one single free newspaper from anywhere, which is what we'd done in the past. This time around-- well, I'll get to that in just a second. Why this is green: No need for bubble wrap or similar protective things. In fact, anything fragile enough to need bubble wrap we wrapped up in clothes or towels, anyway. Gave the newspaper another use before it was recycled (and I suspect that some of the stuff we reused would have ended up in the landfill if we hadn't claimed it). No need to get new newspaper from the free racks. 3. Reuse cardboard boxes. U-Haul and their ilk will try to sell you new cardboard boxes, because they want all of your money. Once again, we asked our friends for help and met with quite a few grateful people who were only too happy to give us their boxes that they didn't want. I also got a few from my office, and we got some from the local grocery store. Ask around and get some free, still-useable boxes before you shell out the cash for new ones. Or, if you must shell out cash, look for a service like Ecobox, which sells used boxes. This time around, we still have most of the boxes from last time. I know this is crazy, but we couldn't immediately find a good place to recycle our boxes and newspaper, so we shoved them into an outdoor, non-climate controlled closet on our balcony where we didn't want to put anything else anyway. So, we're all set. Why this is green: Saves new materials being used. Keeps older, but still good, stuff in circulation instead of going to the landfill. And please recycle them if you can't find a new home for them when you're done. 4. 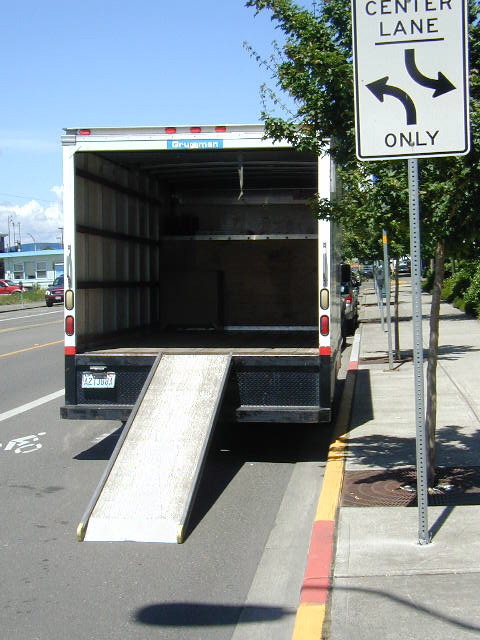 Get the right moving truck/trailer/whatever to fit the size of your house, and fill it up. 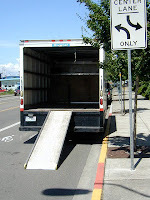 Insist that your moving service do the same. The jury is still out for us on what we'll do this time, and we may end up renting a Zipcar (well, Ziptruck) and making multiple trips. Which is not ideal, because that uses more gas, and we're not into that sort of thing. However, for cross-country moves, pack your truck to the gills. It will save you cash and gas if you get the smallest possible truck (which still may not be that small) and use every inch. Why this is green: One full vehicle making one trip uses less fuel than multiple vehicles and multiple trips. Kind of like only running your dishwasher when it's full. 5. Pack a "first night" kit with all the things you'll need for snacking, eating, showering, sleeping, and getting dressed the next morning. Why this is green: It's to save at least some of your sanity. Happy people = happier planet. Are these tips the most obvious things the world has ever seen? Well, of course they are. But they also require some forward thinking and planning ahead, which is why I've written them all down, so you (and I) have them in advance. What do you do when you move? Did I miss anything important? Well, according to my usual sources, I'm spelling this one wrong. Usually I find a list of variant spellings (see Emilie) but this time? Not so much. So I turned to some unusual sources. Variant of Melody, from the word melody, as in the lead part of the song that everyone remembers. Came to us from Greek via French and Latin. Melody first appeared in the top 1000 girls names in the US in 1942. It's currently the 173rd most popular girls name in the US, but hit its height of popularity (so far) in 1961, when it was #172. My chosen variant Melodie is not in the top 1000 in the US, but was sometime around the 1960s (the source is not very clear, unfortunately). Famous Melodies: Bit of a problem area. 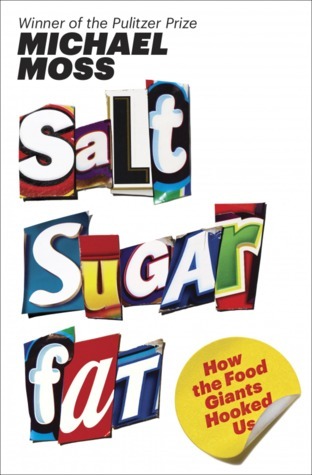 Melodie Howe (author) is the only one I found, and yay, I've heard of her! Melody is slightly more popular with famous people, but I don't really recognise any of their names. Fictional Melodies: Not so much. Melody, on the other hand... Melody Pond, Doctor Who; Melody, Out of My Mind. My Melodies: I know a couple of Melodys, who I occasional see on Facebook. But Melodie? Nope, just my character, who is Sybil's youngest sister. Melodie is really quite cool, but since Sybil doesn't notice that much (older sisters-- we can be so thoughtless! ), neither do the readers. But at least I know. Maybe Melodie will get her own story soon. Do you know any Melodies or Melodys? Les Misérables: Yes, I Finally Watched It. And Then Watched It Again. And Again. Well, this post is very late in coming, since I watched Les Miserables the last week of the semester when I was feeling pretty miserable and the movie was there to cheer me up. Yes, I know that's twisted, but whatever. So! It was fantastic, it was glorious, I loved it, but alas, it was as I feared; the movie just couldn't hold up to seeing it live onstage. I'm a theatre nerd and always will be, so while as a movie it was fantastic, from a Les Mis fan point of view it wasn't the same. 1. Hugh Jackman. He was amazing. I didn't even know he could sing (although we have since rented the 1999 Oklahoma! with him as Curly, and I'll say it as often as possible: Wow) before the cast was announced for this movie, so I didn't have any particular expectations, but holy smokes. 2. Hadley Fraser. He had more screen time than I was expecting, but unfortunately that rather ginormous mustache kept me from recognizing him right away. He had something like three minutes of screen time and still poured in more emotion than some of the others did in the entire movie. 3. Colm Wilkinson. Enough said. 4. After the barricade, when all the dead were laid out, Javert pinning his medal onto Gavroche. I didn't even have time to recover from Enjolras falling dead out of the window before I stared sobbing again. That was a nice touch. 5. Samantha Barks. Not only is she spectacular on her own (tee hee), but they went and added in some bits from the book that aren't in the musical, which fleshed out Eponine even more. Perfect. 6. Enjolras. Not Aaron Tveit, necessarily, although he was great. Enjolras is just always going to be my favourite character, and the movie totally did him justice, methinks. 7. Eddie Redmayne. Normally, I'm not wild about Marius, but Eddie Redmayne made him very likable. Although I have to say in the scene near the end when Valjean is explaining why he has to leave, Marius keeps smiling longer than is appropriate. Dude, serious face while Valjean is talking. 8. Speaking of Marius, he punched Thénardier at the end. I cheered. 9. Did I mention Hugh Jackman? I saw the interviews with him talking about not eating or drinking for 36 hours before shooting the opening scene, so he would look more or less like a corpse. It worked. Way to take one for the team, Hugh. And by "the team," I mean everyone who's ever loved Les Mis. 1. They moved the song order around. Gah. That didn't make the movie more interesting/mysterious; it made me more cranky. 2. Okay, I'll say it. Russell Crowe. 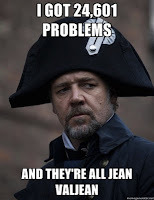 I don't dislike him quite so fiercely as so many others in the Les Mis fandom do, but I'm a long way from liking him as Javert. 3. The Thénardiers had far too much screen time. What were they doing in the inn during "One Day More?" Just, no. 4. There was a long pause in the singing after "Do You Hear the People Sing" while they were building the barricade and speaking all their lines. When Javert finally burst out with "I can find out the truth!" in song, it was both a shock and a relief. For a movie that was panned by so many for being entirely in song, that was much too long of a gap. 5. Heaven looks suspiciously like 19th-century France. 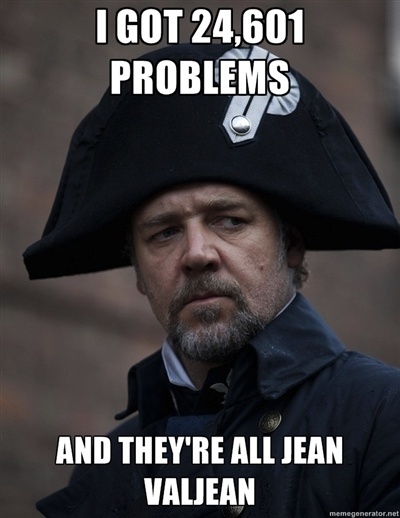 Are you a Les Mis fan? Did you like the movie? Americans now eat as much as 33 pounds or more of cheese and pseudo-cheese products a year, triple the amount we consumed in the early 1970s. This deployment of cheese as a food additive has proven to be a windfall for food companies, driving up sales of cheese as well as the products that now use it to increase their allure. Sometimes I feel like I spend half my life pleading with people to stop being jerks. Not actual jerks, necessarily, but to stop giving all their mental energy away in worrying about what other people are doing. You know, to live and let live, to mind one's own business, to save your indignation/interference/etc for moments when they are genuinely warranted, and not (for instance) when you don't like someone's shoes. As an example, I'm going to talk about runners. Other people do it, too, but runners are my tribe. And in my years of running, I've lost count of how many times I've heard or read someone say, "Don't ever wear a race t-shirt to the race. You'll look like an ignorant newbie." To which I can only say, "Don't worry so much about what other people are wearing. You sound like everybody's fussy grandmother." There are genuine reasons for not wearing a new anything on race day, but the appearance of it? Don't sweat it. Ignore those people. Or, heaven help me, doing anything outside of someone's definition of "normal." I can't tell you how many times well-meaning friends have urged Chad and I to buy a car (or, when we had one, to buy a second one) because that's what you're "supposed to do." I don't know why "supposed to"s should run my life, and I suspect the people saying it don't really know, either. So let's not fuss, okay? I'm sure you all have dozens of similar examples to add to the rantiness. What do you think? Can't we all just get along? 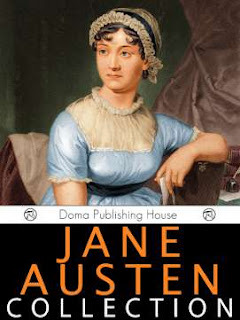 Win The Jane Austen Collection on Kindle! I'm finally getting to a book on my 2013 TBR Challenge list! This is pretty exciting for me, and it was a great start, because the book was fascinating. First, some background of my own journey with the Gilbreths: I read Cheaper by the Dozen and Belles on their Toes in high school and loved them. (I also liked the original movie from the 50s, but I'm still angry that the 2003 remake dared use the same title, the jerks. They kept nothing of the original.) So, when I heard there was a book all about "Mother," I was eager to get my eyes on it. I realised as I read this that my timing of the Gilbreths' story was off-- most of the children were old enough to be my grandparents' parents, while for some reason as a teenager I thought they were contemporaries with my grandparents. Apparently, everything before 1950 all happened at once, in my teenage mind. 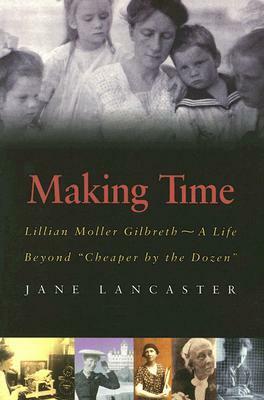 Lillian Moller was born 100 years before I was, and I know nothing about my family at that time. So I'm kind of sad about that, now that I think of it. Anyway, the book. I think for those who aren't interested in knowing more about the behind-the-scenes look at Lillian's life, it may be dry or unbearably long. I was fascinated, though, and progressively more amazed at all the things that the Gilbreths had influence in developing-- the modern kitchen layout, ergonomic office furniture, space shuttles-- I can't believe I've never heard of their influence over so many things, but presumably that's because I'm not an engineering type. 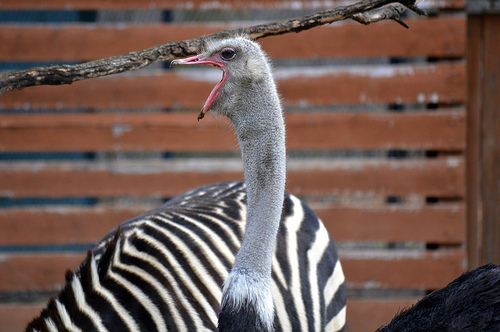 The insights into Lillian's early life were revealing, too-- she rejected the society woman life of the early 1900s for a more strenuous lifestyle. I found her work ethic and drive to be inspiring-- she really took here life's work to heart and didn't waste her time. I wonder if living in the era before television helped, or if she would be just as interested in working today and the TV wouldn't bother her. On the other hand, how much faster could she have worked with the help of a laptop with wi-fi? I definitely enjoyed the book & recommend it to people who enjoy this sort of in-depth look at one person's life-- and if you're already a fan of the Gilbreths, that will help!